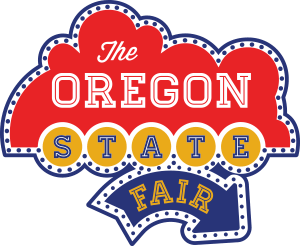 “Where Fun Shines!” is this year’s theme for the Oregon State Fair, so put some fun into your work and register to exhibit at the State Fair. Thousands of people pass through our gallery and many pieces are sold. Our building is a favorite destination of many fairgoers. Up to two pieces created in the last two years are eligible for entry. Although the deadline to register is August 9, surprise yourself and do it before you leave for vacation. Categories are now Beginner/Novice Adult Division, Intermediate/Advanced Adult Division, and Student Division. We’re pleased to have as our judges this year Anita Bigelow of Portland and Nancy Anderson from Albany. 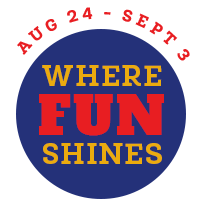 For entry information and registration, go to the State Fair website and read the handbook prior to registering. Judy will also be at the Multnomah Arts Center on Tuesday, August 7, from 10:00–11:00 am and the Lakewood Center on Wednesday, August 8, from 1:00–2:00 pm. Not in Portland? You can find other ambassadors from your area on the Capital Calligraphers website. Calligraphy demonstrators and exhibit hosts play a very important role in making our exhibit one of the most popular at the Fair. Signups are being taken by Barbara Taylor this year, and you can reach her at 503-991-5797. Check the Capital Calligraphers website for the full schedule of demonstrators and hosts. Looking forward to a fantastic State Fair!